This blog includes information for real-estate tech startups & entrepreneurs. Herein rounded up three dominant strategies from WeWork (co-working space app), which you can consider during co-working space apps development. The co-working space apps provide the workspaces or offices for professionals. 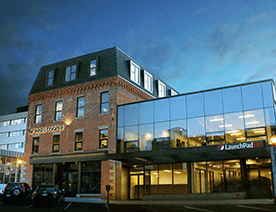 Plus, they provide a collaborative and creative environment for individuals and businesses. You might have heard about the real estate startup company, WeWork, which is valued like a tech company. With over $20 billion total valuations, the co-working space app, WeWork, is expanding aggressively and pursuingly diverse investments, which have already disrupted real estate tech industry. Currently, WeWork has raised $3 billion in Private Equity Round of funding, led by Softbank. And, the total funding amount is $12.1 billion. According to the latest news from crunchbase.com, WeWork has closed a $6 billion investment from Softbank and rebranded to “The We Company.” With the new funding round, the company is now valued at $47 billion, post-money. The eight-year-old (founded in 2010), co-working space, WeWork, has been popular for its billions of dollars investments, it’s funding, valuation, and its one of the biggest investors i.e. Softbank (Japanese tech and telecom giant). In 2017, WeWork app acquired five companies, including Meetup (organizes group trips and events), and in 2018, it has acquired three companies, including Chinese co-working startup, Naked Hub. 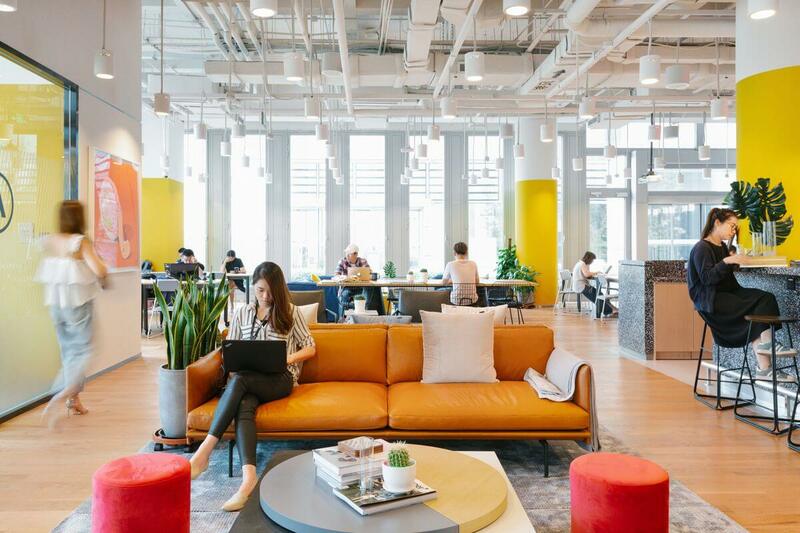 The real estate tech startup, WeWork provides shared workspaces for technology startups, entrepreneurs, freelancers startups, small businesses, and large enterprises. 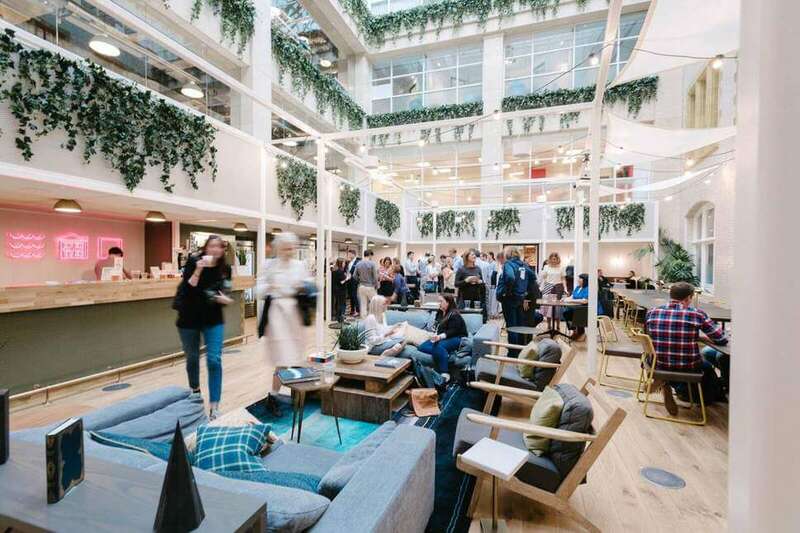 The core business of WeWork (an American company) is renting out shared offices and workplaces to clients or users, which range from individuals in need of the part-time desk to the corporates, which are looking for an alternative to a multi-year lease. In July 2017, WeWork has achieved a valuation of roughly US$20 billion and managed 10,000,000 square feet of office space. Founded by Adam Neumann and Miguel McKelvey, WeWork specializes in leasing and developing properties at one price, and then turning out at higher prices. In 2017, the co-working space company has raised $4B along, and that’s why the company has expanded exponentially. Now, let’s talk about the WeWork, the co-working space app’s performance across App Stores. According to the report from App Annie, “The download rank of WeWork in the Apple App Store, lies between #255 to #638.” In this image, you can see the report. 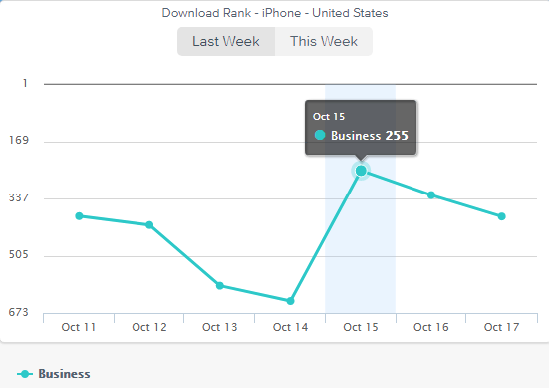 According to the latest report from SimilarWeb, “The Google Play rank is #514”. This is what you can see in the image. WeWork has made a big name in the short period of time as a global co-working space. In fact, this co-working place is the biggest private office tenant in all of Manhattan. Recently, the application has launched skills-based profiles as a value add for tenants. 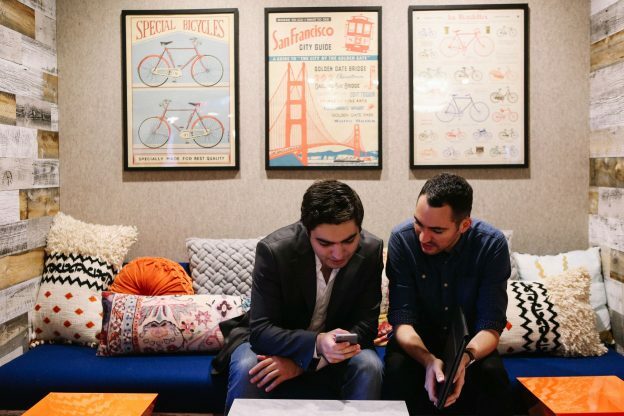 One of the dominant strategies from WeWork is to provide solutions for mid-sized startups. And, this solution is something, which has been missed out from other real estate tech companies. The co-working space provider has provided solutions to those startups, which could not invest money in buying spaces for work. 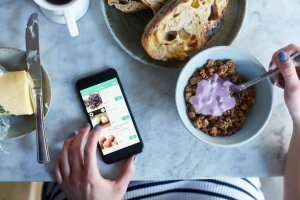 After analyzing the problems faced by small and mid-sized companies, the co-working space app like WeWork has provided solutions such as privacy, flexibility, customization, and cost-efficiency as what they require without making a long-term bricks-and-mortar (or traditional business) commitment. Being a real estate tech startup or entrepreneur, if you are planning to create co-working space app like WeWork, then you need to keep an eye on this dominant strategy, which will make you stand out in your business. 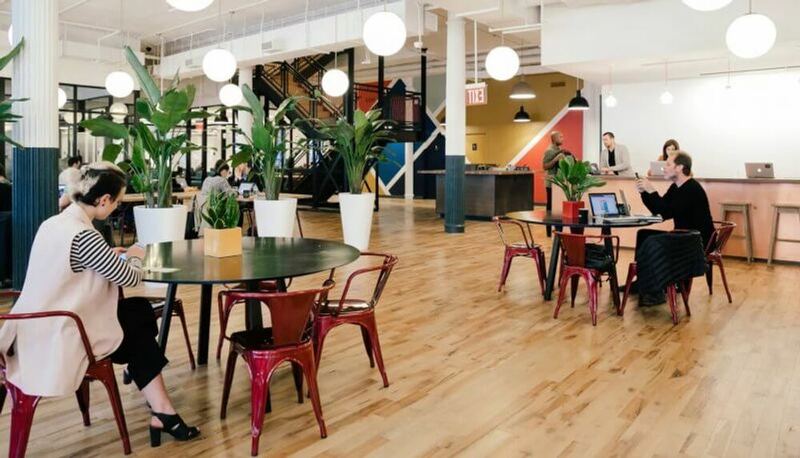 WeWork does not only provide co-working and office places to its individuals and enterprises, but the company already has many achievements in order to lessen the complications, associated with leasing. In actual, WeWork has already provided many magic formulas in the real estate sector. But, this model is actually pretty risky to handle. However, WeWork handles with its dominant tricks. WeWork app has shifted from leases to co-management deals. 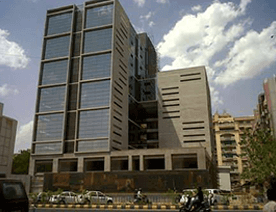 The company has followed this strategy in various markets like India and Israel. It has also provided longer lease terms for its members instead of month-to-month. 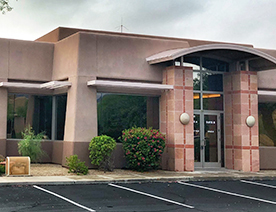 The company has also purchased properties and formed another company called WeWork Property Advisors. So, if you would like to develop a real estate app like WeWork, which could help your users to solve a number of leasing problems, then you can stick to such strategy. In the fast-paced global expansion, WeWork app did not forget to provide solutions in terms of app features to its customers. The real estate tech company already know the importance of offering a mobile app to its customers or app users. Through an online platform, WeWork provides a place to work, allowing them to create a creative community where they can post questions and update to the community of creators. 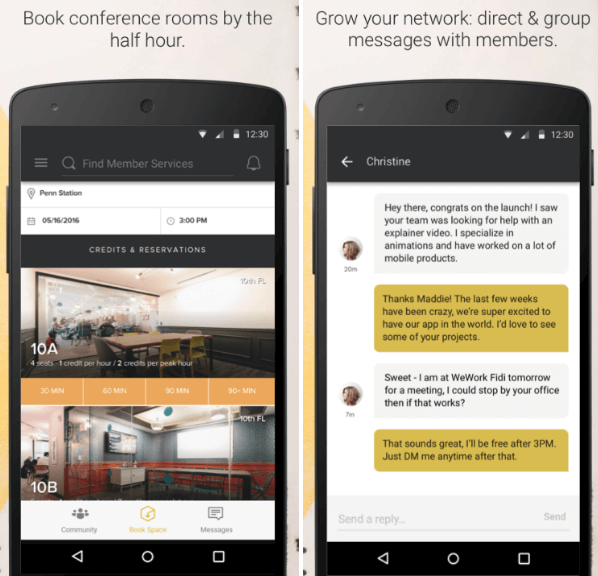 In addition, an online co-working space app, it allows its app users to make professional connections and find out the next clients. Apart from this, co-working space app like WeWork allows its app users to find out or list opportunities, book conference rooms, and workspaces. 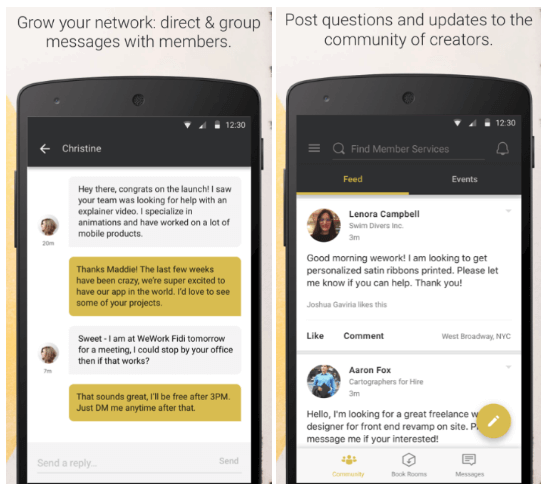 By considering such solutions, your app users/customers can always get connected to the members of the community. So, one thing is cleared that being a real estate tech startup, you can’t afford to miss the important features while developing a successful co-working space app like WeWork. Well, the objective of the real estate tech giant, WeWork, has already cleared about eliminating the complications associated with leasing. From maximizing usage of space to eradicating the complexity of leasing, WeWork makes leasing affordable in order to provide ample common spaces, meeting rooms, natural light to small and mid-sized companies. While going through this blog, if you might be thinking to create co-working space app like WeWork, then it is worth seeing the latest data from Google Trends. According to the report from Google Trends, here are some of the top regions, including Hong Kong, Singapore, Thailand, Philippines, Vietnam, where the keyword “co-working space” has been searched maximum time since 2004. This is what we can see in this image. If you might have any app idea regarding co-working space apps, then you can cross-verify your idea with us as we’re a leading mobile app development company. 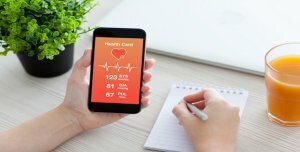 We’ve already developed over 3500 mobile applications in diverse categories along with unique features and functionalities. In case, if you still have any query or confusion like how much does it cost to create coworking space apps, how long does it take to create apps for co-working professionals, then you can get in touch with us through our contact us form. One of our sales representatives will revert to you as soon possible. The consultation is absolutely free of cost. This page was last edited on February 13th, 2019, at 9:07. Number 1 Reason Why You Need On-demand Grocery App for Your Grocery Business in the U.S.